Getting to 5G ROI requires transforming backhaul network to address dynamic user experience management. Mobile network operators are eager to move forward with early commercial 5G deployments, even though they require significant changes to technology and business models—and there likely won’t be significant payoffs for a long while. To achieve the 5G ROI they envision (whether soon or much later), operators must not skimp on the following six steps to transforming mobile backhaul. Forget trying to figure out the next big thing in use cases. The more fundamental question is: what kind of system or platform is needed to support any new 5G services and potential revenue sources? The short answer is: a system that combines the concept of network slicing with network-as-a-service, allowing operators to transform themselves from ‘simple pipe’ providers into purveyors of a new ‘mobile cloud’ used by a diversity of consumer, enterprise vertical, service provider, and industrial partner customers. 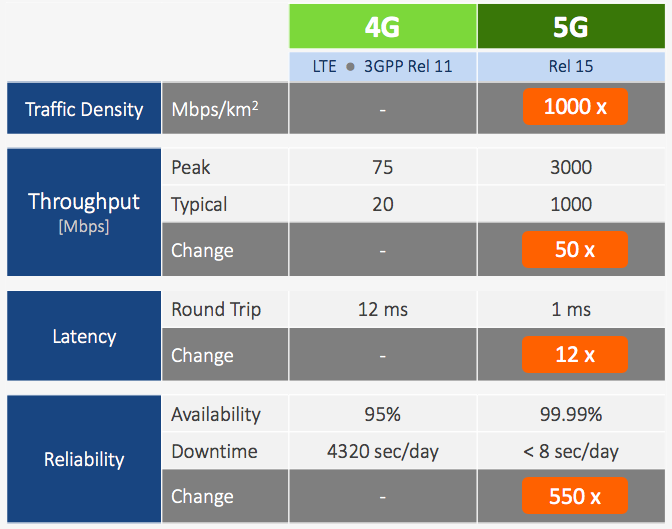 Latency improvements needed for 5G are orders of magnitude beyond what’s available today, and reliability expectations are similarly daunting. As such, 5G requires controlling and dynamically managing the transmission layer and measuring key performance indicators (KPIs) for precise requirements such as delay, packet loss, and throughput. Without this control and visibility, it will be very difficult (or impossible) to offer services like autonomous driving, remote system monitoring, or real-time Internet of Things (IoT) analytics. 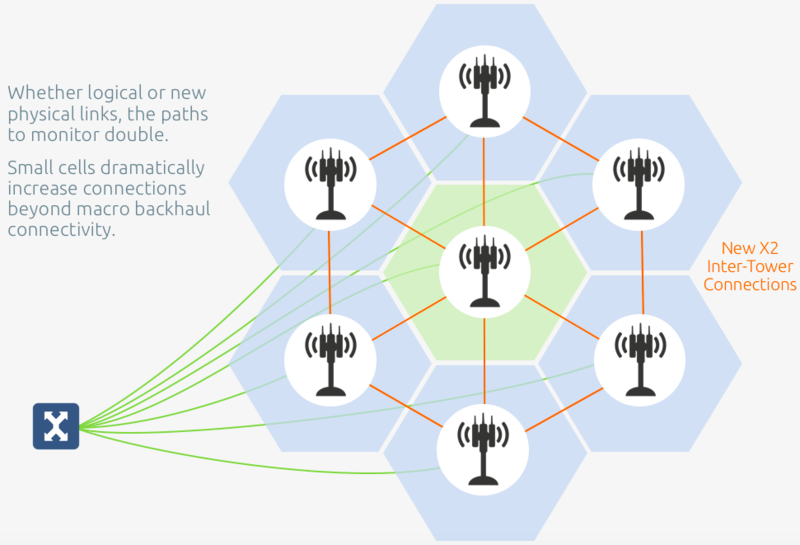 It requires direct inter-tower communication links, effectively doubling the number of backhaul connections as well as significantly increasing the volume and variety of data carried on them. It requires monitoring performance not only on links to the core, but now to also links between towers. Granular, precise performance management is the key to addressing both of these complexities. But, insight into network and application performance is only as good as the data collected for analysis. Often, ‘garbage data’ leads to perception of how well a network is working that differs significantly from how that performance affects the user experience. To align performance perception with experience reality is a non-negotiable aspect of being 5G-ready. It’s possible by using precise, granular performance data to extend assurance over the network/applications and service layers—beyond the perimeter of operators’ standard network configurations. The key to making money in the cloud economy is running networks ‘hot:’ at full utilization all the time. To do that and keep everyone happy at times of peak loads, they must have management systems in place that let them identify and move non-critical services to public cloud. Managing peak loads in this way depends on being able to measure performance on a per-user level, and make necessary adjustments in real time. Nervous system: A virtualized, distributed monitoring overlay that blends together active and passive methods covering the network end-to-end (core to end user) and top to bottom (Layer 2-7)—seeing and reporting on service transactions occurring locally and into the cloud. This insight, captured at a microsecond level of granularity, feeds the other two components. Decision making: An artificial intelligence-driven analytics layer that smartly correlates performance data from both the network and application layers to identify the real issues to fix and drive network self-optimization loops. Responsive control: Software-defined networking (SDN) and network functions virtualization (NFV) and imperative elements of a system that responds in real time to actual network usage, service requirements, and the real user experience. Traditional, hardware-based architectures can’t cut it in a 5G world. The real payoff from 5G will come through transformed backhaul networks that effectively use closed-loop automation to become “mobile cloud platforms,” allowing application and content providers to host their services and reach customers over a programmable mobile infrastructure. The importance of proper, virtualized performance and user experience management cannot be overstated. 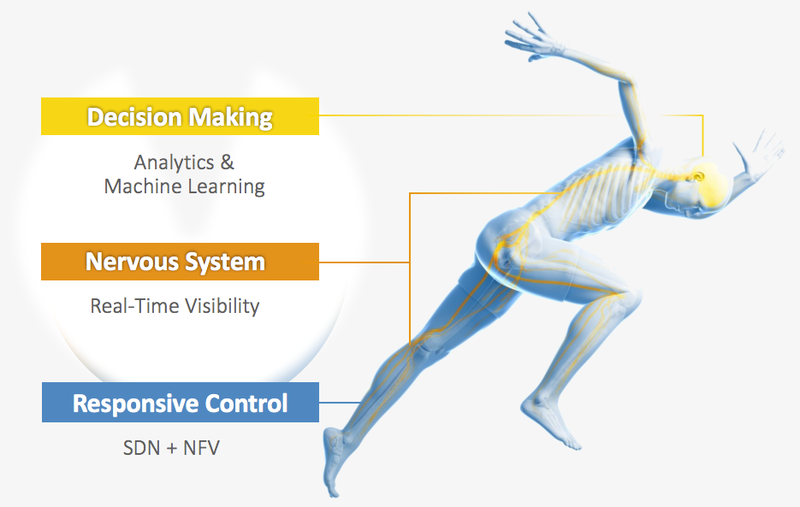 For the mobile cloud to properly succeed, an integrated, microservice-based nervous system will need to live within the network to provide the sensory feedback needed to maintain performance and stability. The sheer scale and dynamism of the 5G mobile cloud means that existing hardware-based monitoring is simply not practical. Any assurance solution must be able to scale and adjust just as quickly as the microservices that are launched to satisfy each application. Accedian is unique in providing this capability for both physical and virtual infrastructure. In his role as Solution Manager, Hakan is responsible for being the strategic bridge between customers and Accedian’s sales, R&D, product management, and executive teams. 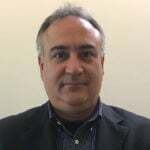 He draws on a strong strong technical, solutions, and management background in the mobile, telecom, service provider, and IT industries, with a focus on customer-centric, practical and value-added solutions development. Prior to joining Accedian, Hakan held various senior roles (in network planning, virtualization strategies, and analytics, among other areas) at Turkcell and Superonline Turkey. He holds two Bachelor’s degrees in information technology from Monash University and computer sciences at Eastern Mediterranean University.